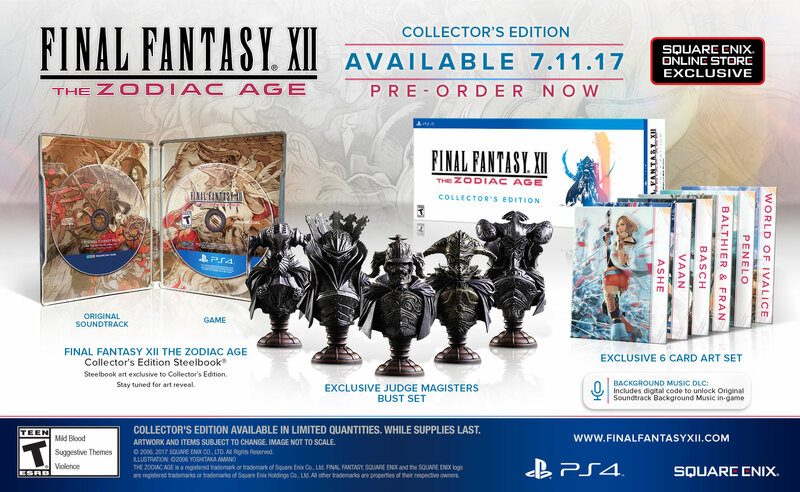 Square Enix has recently unveiled the Collector’s Edition for the updated re-release of the 12th mainline title of the Final Fantasy franchise, Final Fantasy XII The Zodiac Age. The Collector’s Edition is available for pre-order exclusively on Square Enix’s online store for $199.99. Final Fantasy XII The Zodiac Age is scheduled for release on July 11 of this year exclusively for the PlayStation 4.